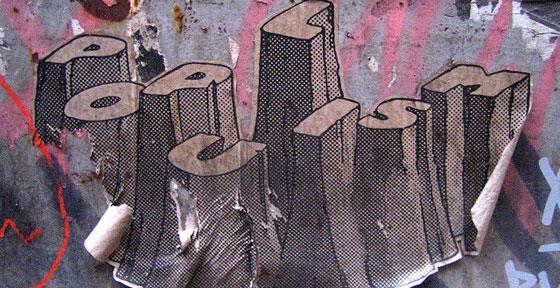 What is Populism and How Might We View It? Léonie de Jonge (PhD candidate in the Department of Politics and International Studies) urges a measured approach to movements often viewed as threatening. 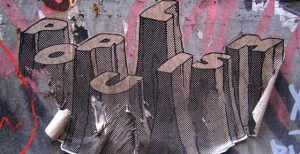 As convenient shorthand for a brand of politics that has stolen the headlines, ‘populism’ has been used by academics and journalists to describe a host of movements and their leaders at different times and in different parts of the world that appear, at first glance, to have little in common. Despite its wide usage in politics, the term remains ill-defined. This is partly because populism is chameleon-like; it changes its appearance depending on what (or whom) it is attached to. Most notably, populism has been attributed to right-wing groups and leaders. Top of the list is US President Donald Trump, who has proposed draconian measures to deter illegal immigrants. In recent years, however, the term has also been associated with left-wing movements such as Podemos, a Spanish party that wants to introduce voting rights for foreign residents. While the term ‘populism’ has become a buzzword, it is certainly not a new phenomenon. The populist label was attached to a late-19th century radical peasant movement in the USA that sought to reform the political system and gave rise to the American People’s Party. It has also been used to describe the Narodnik movement formed by a small group of urban elites in 19th-century Russia in a (failed) attempt to incite a peasant revolt. Moving forward to the mid-20th century, the term ‘populism’ was used to characterise a new form of political mobilisation in Latin America that emerged with charismatic leaders such as Getúlio Vargas in Brazil and Juan Domingo Perón in Argentina. In Western Europe, populism was a relatively rare phenomenon until the end of the 20th century, when it was associated with the emergence of a new wave of nationalist, right-wing parties with an anti-immigration agenda. Because the term is often equated with demagogy or political opportunism, populism generally carries a negative connotation. Indeed, it has become a label to denigrate a political opponent. The pejorative, vague and widespread use of the term in the public sphere is perhaps unsurprising given the lack of a definitional consensus in the academic literature. Scholars have sought to characterise populism as a strategy, a movement, a doctrine, a political style and rhetoric. What unites most (if not all) definitions of populism is the emphasis it places on the centrality of ‘the people’. In 2004, the Dutch political scientist Cas Mudde generated a definition that has become highly influential. Mudde conceptualises populism as a ‘thin’ ideology (one that lacks a programmatic core) that is based on the symbolic division of society into two antagonistic groups: ‘the virtuous people’ (who play the role of the underdog) and ‘the evil elite’. Populism rarely exists in isolation; indeed, it usually attaches itself to more refined (‘thick’) host-ideologies (eg socialism on the left, and nationalism on the right). In recent years, Europe has witnessed the rise of populist parties at both ends of the political spectrum. Since the onset of the refugee crisis, right-wing populist groupings have been gaining momentum. Scholars have come up with countless theories to help explain the success of these groups. One way to make sense of the expanding literature is to differentiate between demand- and supply-side explanations. Demand-side explanations emphasise the factors that help create a breeding ground for right-wing populist parties to thrive. Classical demand-side explanations include so-called ‘grievance theories’, which hypothesise that broad changes in the international environment, such as immigration and globalisation, can generate insecurity and dissatisfaction with mainstream (consensus) politics. An environment of discontent generates fertile soil for right-wing populists, as they present themselves as a refreshing alternative to ‘mainstream’ parties (ie traditional party families in Europe, such as Social Democrats, Christian Democrats and Liberals). While demand-side factors appear necessary for the rise of right-wing populist parties, they do not guarantee electoral success. The supply side, therefore, looks at how such parties harness this demand. Supply-side explanations may include factors like the media landscape, party organisation and leadership, as well as so-called political opportunity structures (institutional arrangements such as the electoral system). For instance, proportional representation (PR) electoral systems generally entail a lower risk of ‘wasted votes’ (votes that do not help elect a candidate), which makes it easier for emerging (smaller) parties (eg populist parties) to access power. Against the backdrop of the Brexit vote and the ascent of Donald Trump in the USA, the fear of a renewed swing to the right in European politics looms large in public discourse. In his State of the Union address in September 2016, the President of the European Commission, Jean-Claude Juncker, spoke about the dangers of the unprecedented rise of ‘galloping populism’. His statement echoed earlier warnings by European leaders about the rise of populism in response to European crises. These warnings were not entirely unfounded. In October 2015, the Swiss People’s Party (Schweizerische Volkspartei or SVP) scored a record high by securing nearly 30% of the votes in the Swiss federal elections. In December 2015, Marine Le Pen’s Front National (FN) won the first round of French regional elections. The following year, the German Alternative für Deutschland (AfD) reached double-digit percentages in their first appearance in German state parliamentary elections in several Bundesländer. With the Brexit vote in the UK and the election of Donald Trump in the USA, 2016 will inevitably be remembered as the year of the populist revolt. This trend may continue in 2017, with important elections coming up in the Netherlands, France and Germany. In the face of these developments, it is important to put the rise of the populist right into a broader perspective. While support for right-wing populist parties has increased in many countries, these parties still have limited access to power. In fact, there is wide variation in the electoral performances of such parties across Western Europe. While right-wing populist parties have formed part of (or provided parliamentary support for) national governments in some countries, including Austria, Denmark, Switzerland and the Netherlands, they have been virtually non-existent or unsuccessful in others, such as Portugal, Spain, Ireland and Luxembourg. The disparity between Western European countries raises questions about the variation in the electoral fortunes of right-wing populist parties in Europe. Specifically, why do right-wing populist parties emerge and succeed in rallying support in some countries but fail to do so in others? Amid the media frenzy, we tend to forget about these ‘negative cases’. Heeding Sherlock Holmes’s advice to pay attention to ‘the dog that didn’t bark’, it makes sense to study the puzzling absence of right-wing populist parties in some polities. As academics, we must continue to strive for a deeper understanding of this phenomenon. Populism is not a disease; it is a symptom of a democratic system that is ailing. There is nothing inherently undemocratic about populism. In small doses, it can act as a political corrective: it can flag up discontent and serve as an antidote to voter fatigue. If we want to counteract the populist tide, we should start addressing the causes, not the symptoms. We must first tone down our anti-populist rhetoric and find creative ways to revamp our political system. Defaming those who vote for populists will do nothing but provide ammunition to further their cause.